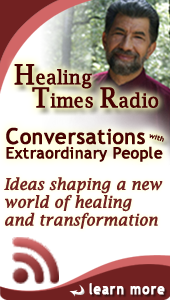 What is Healing Times Radio? Angeles Arrien Ph.D. has been one of my favorite people for many years, as one of those who has been as interested in trans-cultural approaches to psychology, spirituality, and global healing. You will love some of the profound insights she shares about cultivating hope, uplifting the human spirit, and awakening our potential for collective wisdom and transformation. To me she is “Angie,” one of my mentors – who awakened in me an awareness of the importance of story, and catalyzed my writing of Deep Healing – The Essence of Mind-Body Medicine. In this conversation, we explore the value of inspiration, challenges that stretch us beyond our comfort zone, and respect. You will learn about the value of surprise, and the creative rather than the defensive approach to life. Dr. Arrien continually refers to the traditional teachings of indigenous cultures from around the world, and the profound oneness of the wisdom that all cultures have evolved. You will love this episode. Welcome to Healing Times Radio. 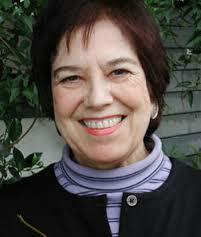 Since being a part of the launching of the holistic approach to healing and the field of Holistic Medicine 40 years ago it has been Dr. Miller’s passion to seek out other thought leaders – the movers and shapers who could see the disaster looming for our world and were setting about crafting the tools that would help transform the world. Those few who, like Dr. Miller, were in the medical and psychological field could see the enormous waste in our health care system, the crisis it was leading to. The tools they developed – guided imagery, mindfulness, meditation, wellness, nutritional medicine, and physical exercise physiology – are now transforming mainstream medicine. Those in other fields (organizational development, sociobiology, ecology, climatology, leadership) were developing their respective instruments and tools (e.g., The World Cafe, Gather The Women, Peak Moment TV, People’s Pharmacy) His relationships with this extraordinary cadre have developed through the decades, as they supported one another in the evolution of their collective intelligence and collective wisdom. Browse and listen to shows anytime at Conversations With Extraordinary People or listen to Dr. Miller’s introductory show. 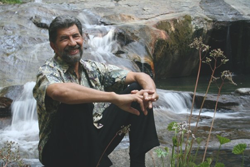 Emmett Miller MD is a physician, author, poet, musician, and master storyteller whose multicultural heritage has given him a unique social, medical, and spiritual perspective. A pioneer in Mind-Body Medicine, he fused the tools of meditation, hypnosis, prayer, and autosuggestion to form Guided Imagery – a powerful tool for self-healing and peak performance. Turning his attention to the larger sphere, he now applies those principles to the glaring community and cultural imbalances and the planetary illness they are causing. His examination, diagnosis, and prescription are explored in his latest book, Our Culture on the Couch: Seven Steps to Global Healing, Dr. Miller’s mission is to help us heal ourselves so that we can in turn, heal our planet.